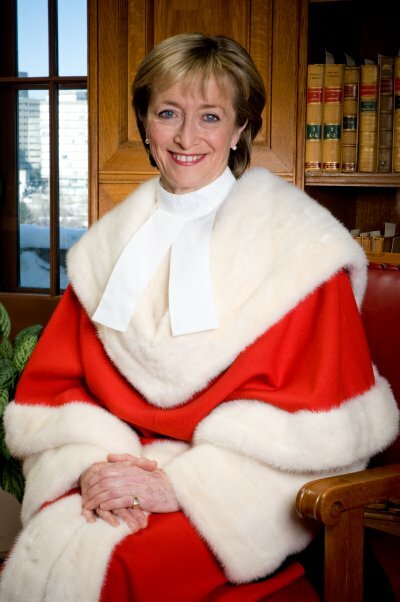 The Supreme Court of Canada (“SCC”) Justices have the privilege and responsibility of representing Canada’s highest court and last court of appeal. Throughout their time on the bench, they remain apart from the legal bar to maintain objectivity and prevent bias. 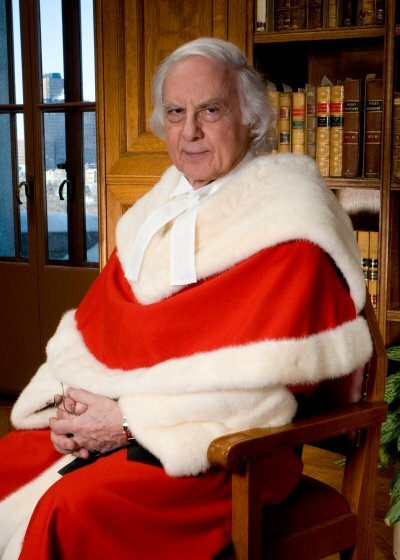 Yet once retired from the SCC, many justices resume the practice of law. The cases they take on and the work that they do often makes headlines. This is a closer look at the last ten justices to retire from the SCC, their contributions from the bench, and their lives now. Most-cited decision they delivered judgement on: R v Grant,  2 SCR 353 [Grant]. 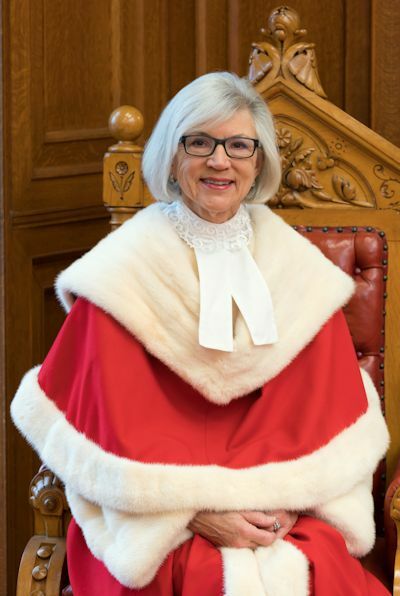 Chief Justice McLachlin delivered judgement jointly with Justice Charron and specified the three-part test under s. 24 of the Canadian Charter of Rights and Freedoms [Charter] for assessing and balancing the effect of admitting Charter-infringing evidence on society’s confidence in the justice system. The test mandates that the judiciary give regard to (1) the seriousness of the Charter-infringing state conduct; (2) the impact of the breach on the Charter-protected interests of the accused; and (3) society’s interest in the adjudication of the case on its merits. Now practicing: Arbitrator and mediator in Canada and internationally at Arbitration Place. She also sits as a non-permanent judge at the Hong Kong Final Court of Appeal and as an International Judge to the Singapore International Commercial Court. Most-cited decision they delivered judgement on: R v Godin, 2009 SCC 26. 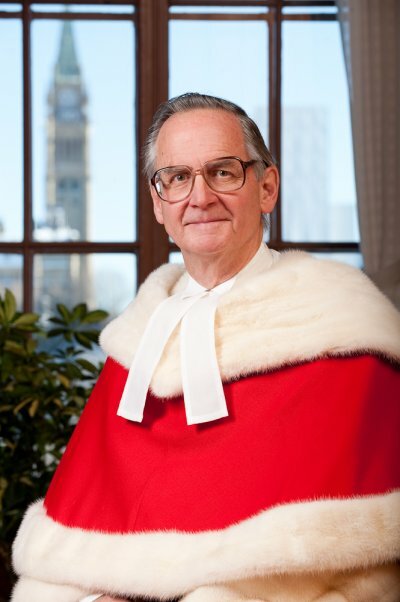 Justice Cromwell held that the appellant’s s. 11 Charter right was infringed by the Crown’s exceptional delay of the case at the preliminary inquiry stage and this infringement warranted a stay of the proceedings. This case was foundational in the SCC’s decision in R v Jordan, 2016 SCC 27, a more recent case dealing with institutional delays in the justice system. Now practicing: Senior Counsel at Borden Ladner Gervais LLP, specializing in appellate advocacy and complex mediations involving public sector entities. 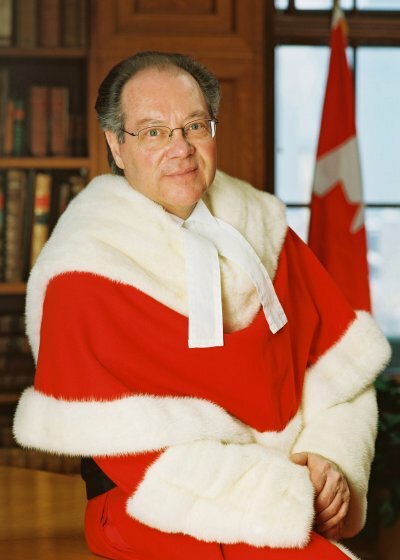 He also serves as Chair of the Chief Justice of Canada’s Action Committee on Access to Justice in Civil and Family Matters. Recently in the news for: Advising the Hon. Jody Wilson-Raybould, former Minister of Justice and Attorney General of Canada, on solicitor-client privilege concerning the SNC Lavalin scandal. Most-cited decision they delivered judgement on: F.H. v McDougall,  3 SCR 41. Justice Rothstein restored the trial judge’s decision to admit the appellant’s testimony—even though the evidence included inconsistencies—and in doing so confirmed that there is only one standard of proof in a civil case, that is, proof on a balance of probabilities. Previously, the SCC tended to apply the civil standard of proof with a higher degree of probability or require the evidence to be more clear, convincing, and cogent in civil cases involving allegations of criminal or morally blameworthy conduct. Now practicing: Partner at Osler, Hoskin & Harcourt LLP, specializing in tax litigation. Most-cited decision they delivered judgement on: Dunsmuir v New Brunswick,  1 SCR 190 [Dunsmuir]. 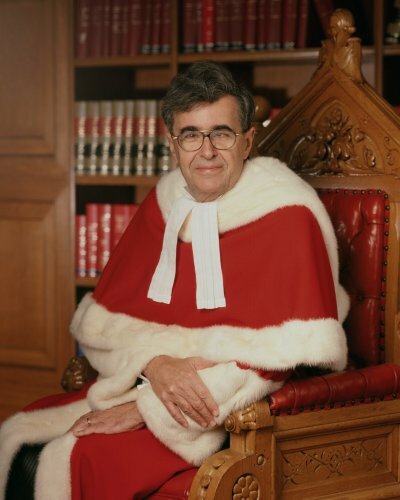 Justice LeBel held jointly with Justice Bastarache that the adjudicator erred in his application of the duty of fairness and his decision was therefore correctly struck down by the Court of Queen’s Bench. Dunsmuir is currently the leading SCC decision on the standards of review: reasonableness and correctness. Now practicing: Counsel at Langlois lawyers LLP, specializing in administrative law as well as employment and labour law. He also serves as resident judge at the Faculty of Law at Laval University. Recently in the news for: Objecting to the 50-year embargo on internal SCC communication documents between justices on cases. He opines that the justices will be “a part of history” before researchers can gain access to the files, and proposes that a period of 20 or 25 years may be a long enough period to preserve the files before making them public. Most-cited decision they delivered judgement on: HL v Canada (Attorney General), 1 SCR 401. Justice Fish restored the trial judge’s award of pecuniary damages for loss of past earnings but adjusted the amount to reflect the time the appellant spent in prison and the social assistance he received during the period covered by the award. Here, he reaffirmed Janiak v Ippolito,  1 SCR 146, and stated that the onus rests on the defendant to prove that the plaintiff failed to mitigate his loss. The plaintiff’s illness, addictions, and poor self-image do not point to a failure to mitigate. Now practicing: Justice-in-Residence at Davies Ward Phillips & Vineberg LLP, specializing in dispute resolution. He was also appointed as Special Advisor on Wrongful Convictions to advise the Minister of Justice on applications under the criminal conviction review process. Recently in the news for: Contributing pro bono assistance to Dutee Chand’s legal team, resulting in an international sports ruling suspending the screening of female athletes on the basis of their natural testosterone levels. Most-cited decision they delivered judgement on: ABB Inc v Domtar Inc,  3 SCR 461. In this civil law case, Justice Deschamps held that according to the Civil Code of Quebec, LRQ, c C-1991, products supplied with latent defects are not subject to the usual limitation period for liability. She established that for the buyer to prove that a product has a latent defect, they must prove four things: it must be latent; it must be sufficiently serious; it must have existed at the time of the sale; and it must have been unknown to the buyer. Now practicing: External Review Authority on sexual misconduct and sexual harassment in the Canadian Armed Forces (“CAF”). Her report, following a nation-wide inquiry, provides the federal government with ten recommendations, such as the proposed creation of an independent agency to handle reports of sexual misconduct in the CAF and provide support to victims. Recently in the news for: Recommending that the federal government create a sexual misconduct response centre fully independent from the CAF and able to track and evaluate CAF efforts to end inappropriate sexual conduct. Most-cited decision they delivered judgement on: Canada (Citizenship and Immigration) v Khosa, 2009 SCC 12. 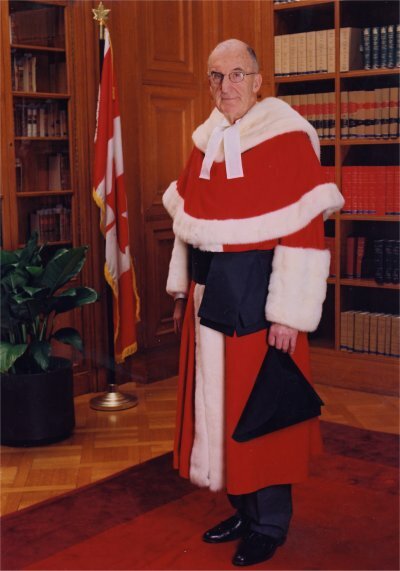 Here, Justice Binnie followed the reasonableness standard of review from Dunsmuir and advocated for deference of administrative decision-makers. Deference can be grounded in the privative clause of an enabling legislation, but Justice Binnie clarified that deference is appropriate whether or not the court has been given the advantage of statutory direction. Now practicing: Counsel at Lenczner Slaght Royce Smith Griffin LLP, providing strategic and practical advice and dispute resolution expertise to clients. In addition, he is a resident arbitrator at Arbitration Place. Recently in the news for: Suggesting that the Law Society of Ontario support access to justice in a meaningful way by introducing a levy on individual lawyers’ dues that would contribute to the funding of Pro Bono Ontario. Most-cited decision they delivered judgement on: Grant, above. Held jointly with Chief Justice McLachlin. Now practicing: Independent Expert in investigations and inquiries, providing her legal opinion on controversial decisions with political implications. 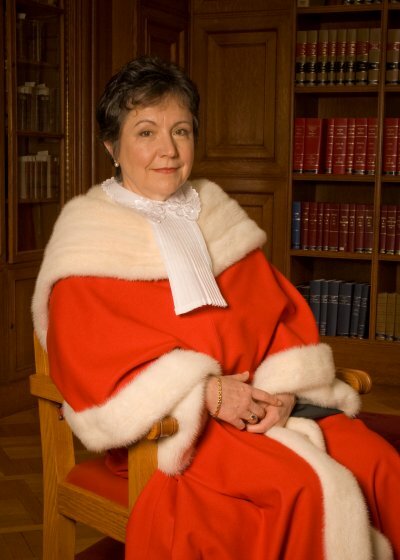 Recently in the news for: She provided former Prime Minister Stephen Harper with her legal opinion on Justice Marc Nadon’s eligibility to sit on the SCC before his appointment. This opinion was not mirrored in the SCC’s decision in Reference re Supreme Court Act, ss. 5 and 6, 2014 SCC 21. Most-cited decision they delivered judgement on: Dunsmuir, above. Held jointly with Justice LeBel. Now practicing: Counsel at CazaSaikaley LLP/srl, working in both English and French. Recently in the news for: Testifying before the New Brunswick Senate Committee on Official Languages that the People’s Alliance Party was “created to oppose bilingualism” in the province. He has also extended his support for Franco-Ontarians’ rights to receive provincial government services in French. Most-cited decision they delivered judgement on: Housen v Nikolaisen,  2 SCR 235. 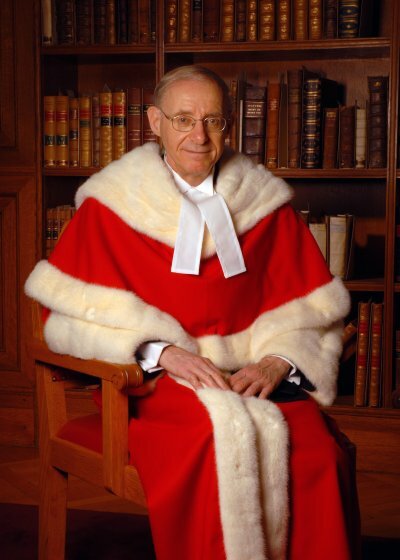 Held jointly with Justice Iacobucci and based on the “palpable and overriding error” standard of review at the time, Justice Major restored the decision of the trial judge. The very first statement of the judgement foreshadowed the SCC’s proposition that a court of appeal should not interfere with a trial judge’s reasons unless there is a palpable and overriding error. Now practicing: Counsel at Bennet Jones LLP, specializing in appellate advocacy and judicial review. He is also a mediator and arbitrator with ADR Chambers. Recently in the news for: Commenting on the SNC Lavalin scandal and whether the Hon. Jody Wilson-Raybould’s solicitor-client privilege can be waived, given the comments the federal government made publicly. This post was published before the Rt. Hon. 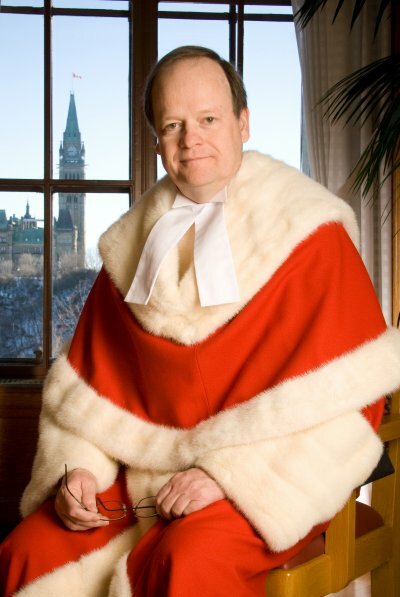 Prime Minister Justin Trudeau waived solicitor-client privilege and allowed the Hon. Jody Wilson-Raybould to testify before the House of Commons Justice Committee. Vivian is a second-year JD student at Osgoode Hall Law School. She holds a BA (Hons) in Public Affairs and Policy Management from Carleton University. She has a broad range of substantive interests in law, including constitutional, human rights, taxation, and intellectual property. When Vivian isn't writing Court posts, she trains for marathons and listens to Freakonomics podcasts. Previous story 9147-0732 Québec Inc: Does Section 12 Protect Corporations From Cruel and Unusual Punishment?